The DVD version contains a single language plus a year’s access to the online version at no extra charge. 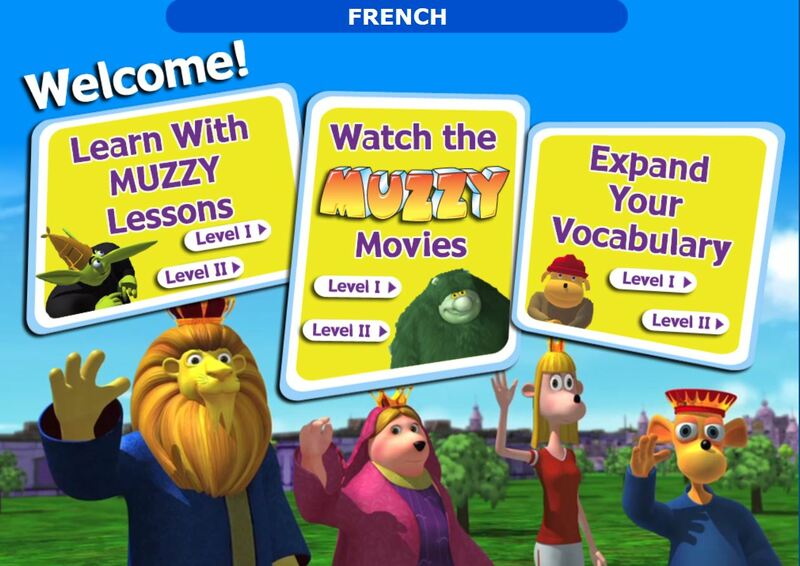 Each lesson contains a short video and several online games to reinforce specific words and phrases. While the instructions say that there are no rules for exploration and that the lessons can be done in any order, both my children chose to work through them in the sequence given. 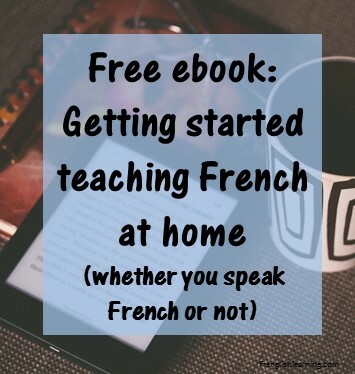 I originally purchased the online version for my 6 year old son who has a basic French vocabulary that I’m looking to expand. 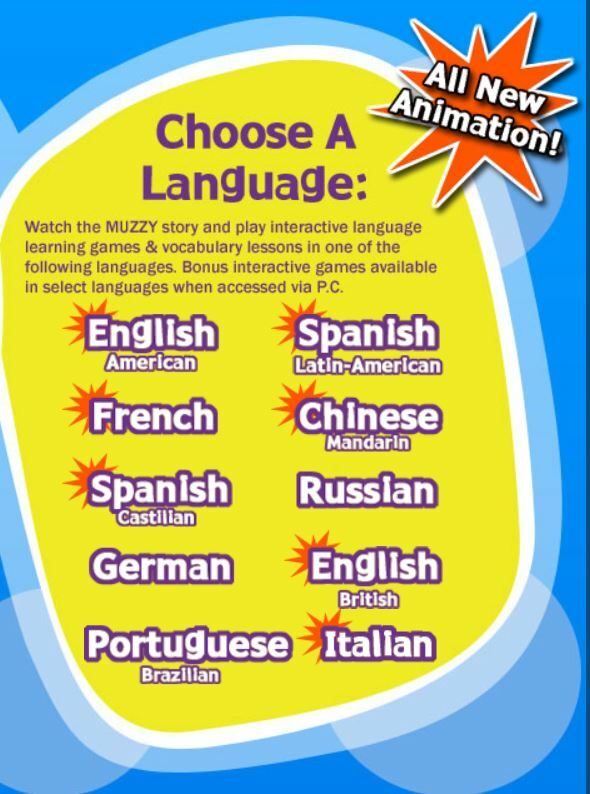 We basically ignored the other languages offered. My kids get 15-30 minutes of French computer time 5 days per week. I was hoping that this site would keep my son busy for a while, and it lasted about 2-3 weeks before he was done with it. Now, he did skip some of the games. He was fine with reading, vocabulary and picture matching, but he could not handle anything that involved spelling. For some of the games, he had to fill in missing letters for new vocabulary and he wasn’t ready for that. I knew that no matter how many times he played, he just wasn’t going to get it because he wasn’t developmentally ready, so I let him skip whatever he wasn’t comfortable with. I think it would have taken him longer if he didn’t have any French vocabulary at all when he started. My 8 year old daughter also wanted to do the lessons, so I set up an account for her. She finished everything (including the spelling games) in less than a week. I was grateful that I went for the monthly online version (so I could cancel right away) and not the DVD! Both my kids really enjoyed working through the site content and wished that there were additional levels for them to explore. They liked the lessons and the games, but weren’t as big on the movies (probably too long for them to sit through at once without any interaction). They picked up some new vocabulary that they are putting into practice. I tried a few of the lessons myself. I chose to do them in Italian instead of French to see what it would be like to work through them in a language that I don’t already know. It was actually kind of fun! I learned some new words and liked the interactive part of the games as well. The only thing I found difficult was getting the pronunciation exactly right. I had trouble distinguishing the exact syllables of “Io sono” at first, but I eventually caught on. This is the part I was really disappointed in. After considering it for a while, I finally decided to pay for a membership. I went through the signup process and got access links in the e-mail confirmation. Those didn’t work. Always fantastic when you’ve got a kid standing over your shoulder ready to go. I e-mailed customer service. No response for first day. No answer at the phone number either. E-mailed again day 2. No response. E-mailed again day 3 with some CAPS thrown in and finally got my account activated. The other thing that irritated me was that there was no cancel button anywhere in my account profile. I e-mailed them this evening to cancel the account. Hopefully I won’t have to chase them or reverse charges on my credit card for a second month. Sigh. 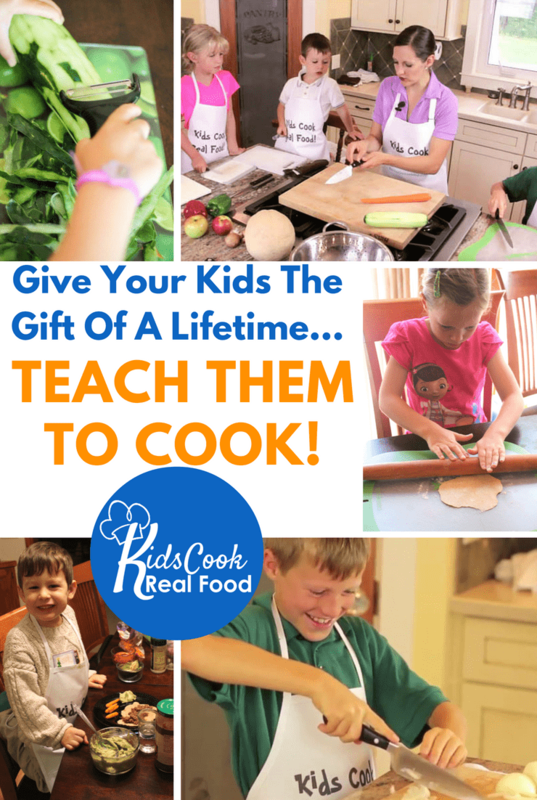 This entry was posted in 11+ years, 4-6 years, 7-10 years, Beginner, Bilingual parent, Immersion, Intermediate, Parent speaks no French, Parent speaks some French, TV & movies, Web sites by Leanne. Bookmark the permalink.